Looking back to the day I got married, I remember the feeling of excitement, anxiety and all-around positive vibes. I watched our SDE almost everyday after we get married. My husband would keep playing it every morning when he gets up while drinking his coffee. We’d watch it over and over and we would notice all the details. Both of us would gush over each detail and see all the hard work we’ve put into making our day special. I wasn’t the typical bride that would like all the attention because I knew it wasn’t just my day, it was OURS – a day that focused on our love. There were a lot of things happening all at the same time, especially during the day itself. I needed that feeling of relaxation before I walked down that aisle. It was a good thing the prior preparations helped me achieve that. But I wonder now, what was my husband was busy with while I was doing all my girly preparations (make-up, hair, putting on my gown , etc)? So I look back at the photos and it was just the same thing every groom does — wear his suit, put on the bowtie , and lace up his shoes. Maybe he drank some “liquid confidence“ to calm his nerves. Seems like a cakewalk compared to my bridal stress. But I can’t help but ask- What else can a groom do anyway? 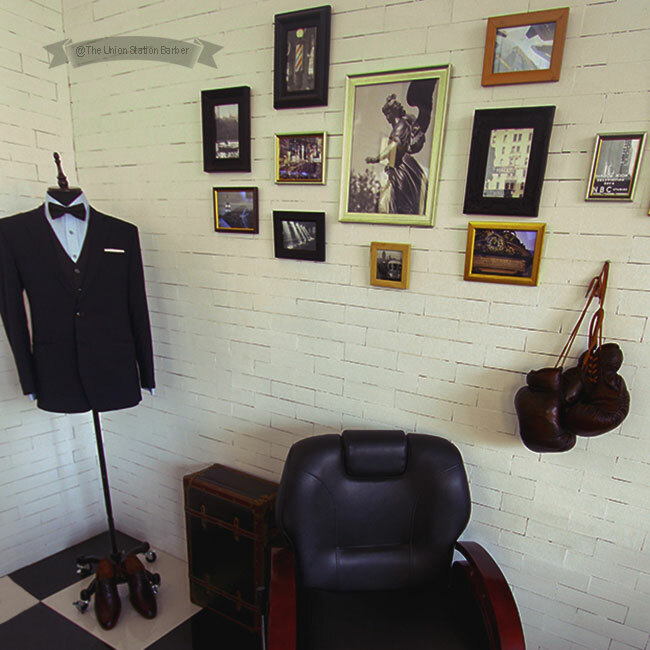 I recently got involved and collaborated with The Union Station Barbershop in The Link Building Makati where I currently hold meetings and fittings with my suit clients. It was then that The Grooming Gathering was birthed. 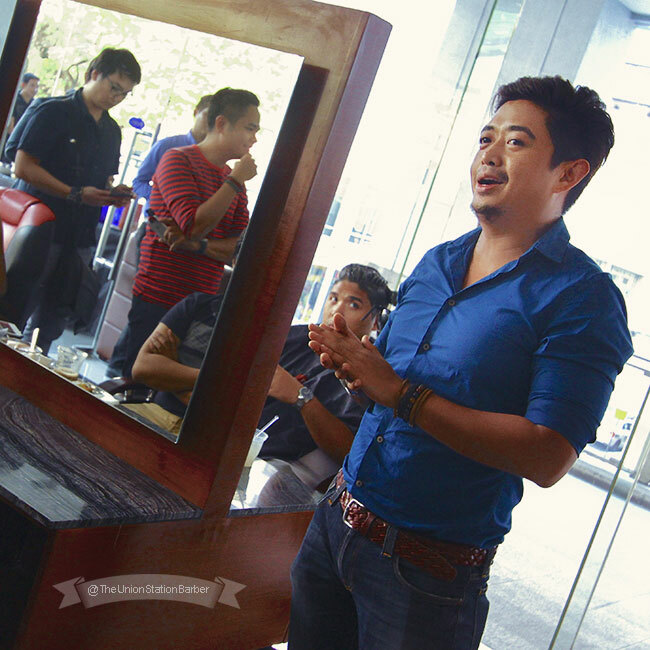 It was an intimate gathering of grooms, selected to get a feel of what it is to be a “Spoiled Groom”. So what is “The Spoiled Groom”? Imagine yourself enjoying all the professional grooming services of The Union Station Barber brought to your venue on the day of your wedding! 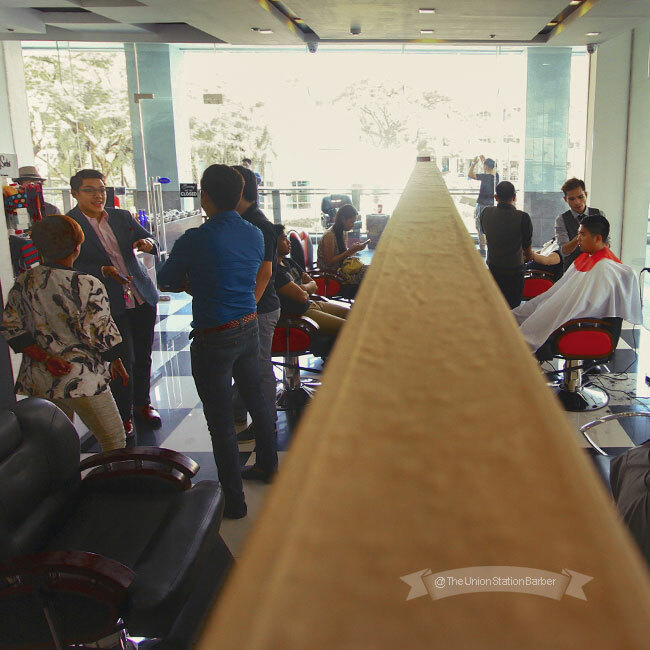 The services are haircut, shave, head and back massage and singeing ( a process where candling is used to clear your ears of unnecessary hairs ). 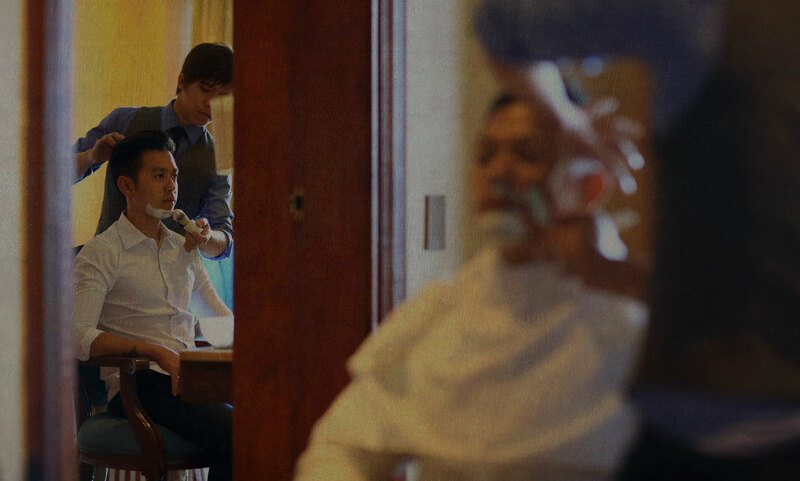 This elaborate grooming experience is served right before you marry your bride. A dapper groom doesn’t only look good in a well fitting suit but also has an expertly cut, styled hair. He looks clean and neat. Your bride has spent months working on her best self to present to you on your wedding day, why not do the same? Being a Berto wanting to go “back to basics,” I believe that looking good doesn’t mean being vain but having that respect for yourself and for others, in this case your future wife! 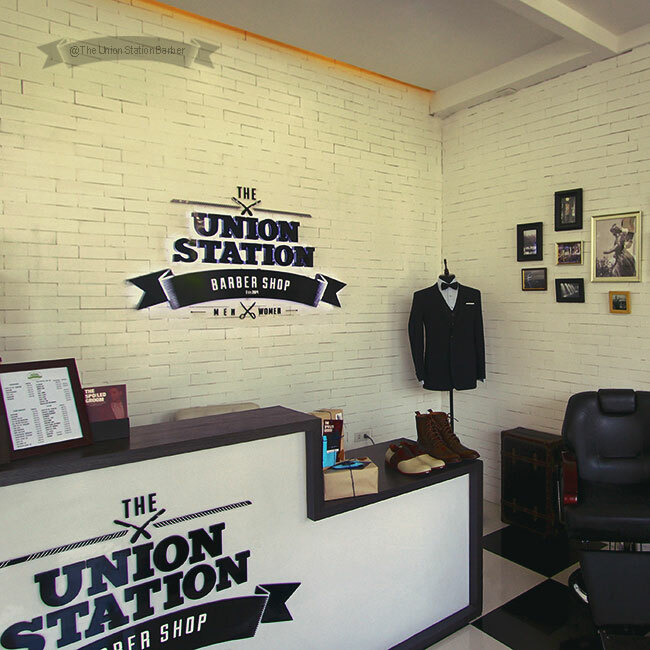 The Spoiled Groom package created by The Union Station Barbershop was launched to specifically cater to grooms’ need to look and feel good on their wedding day just as much as the Bride does too. It is time that grooms get the special treatment as well. 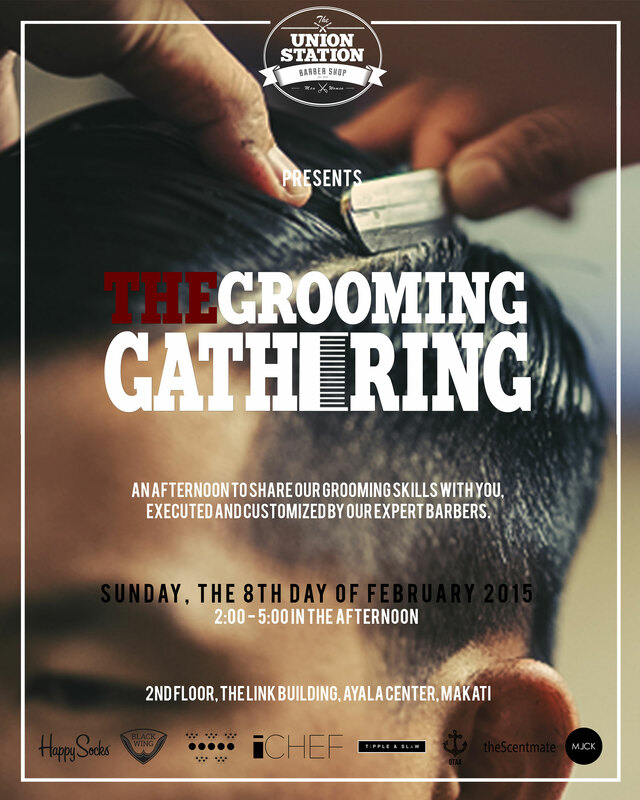 Last February 8, grooms-to-be were invited to get a taste of what The Spoiled Groom is all about. 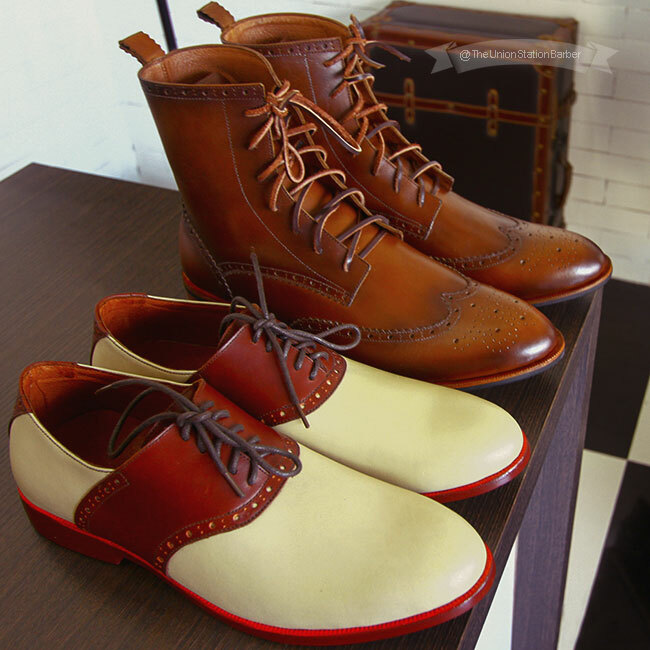 The Union Station Barbershop raffled off prizes that every groom needs – a bow tie and pocket square from OTAA, a pair of HAPPYSOCKS, a custom pair of shoes from BLACKWING SHOES, 50% off a bespoke suit from MLCK! The grooms-to-be received a special gift package that came with a SCENTMATE sample fragrance and discount vouchers from sponsors. The spoiling did not stop there! They even had food prepared by iCHEF Concepts and Solutions, which included clotted cream panna cota, double bitter cocoa short bread and smoked pimenton spiced chicharones, Drinks were served by TIPPLE & SLAW. That was definitely a great experience for the men who were soon to be married. Basically was a group of guys hanging out at a barbershop. They enjoyed food, drinks, grooming services and the good company. 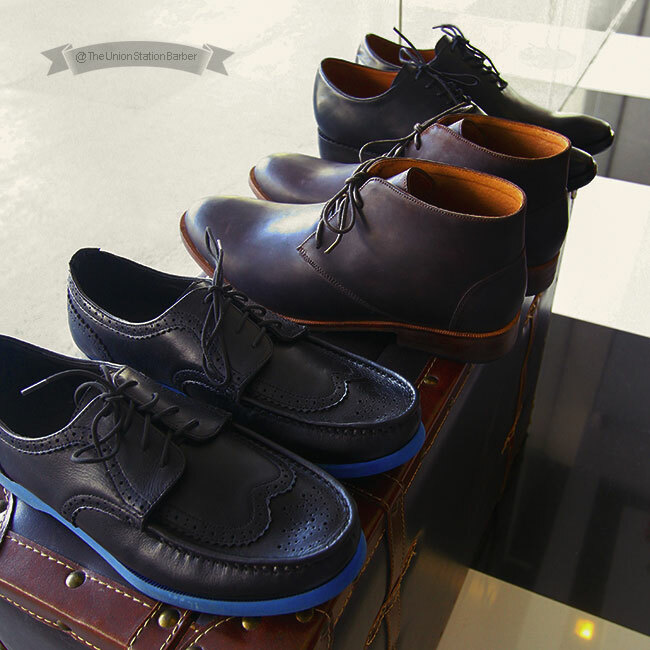 Berto in Brogues was lucky enough to participate and witness such a fun and relaxing event.